I had to put on my thinking cap (or was it my mortar board?) for this week’s 52 Ancestors in 52 Weeks challenge. I wanted to write about the first graduate in my tree, but I wasn’t sure who that was. I was aware that the majority of my immigrant ancestors were illiterate. Only the French showed an ability to read and write before the 1850s. I didn’t really expect to find any graduates until the second or third generation in this country. 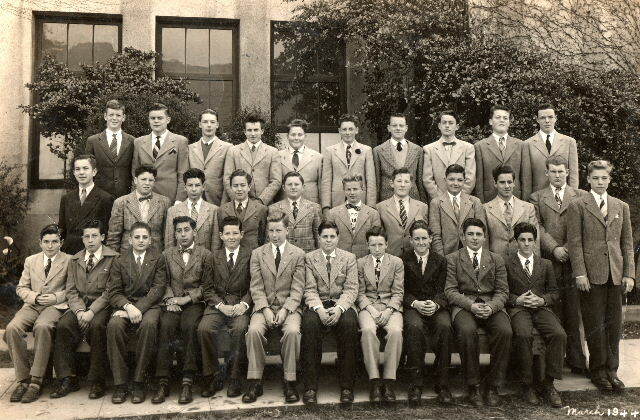 The 1940 U.S. Federal Census lists years of schooling. When I researched that census, I made note of all of my relatives and their education level. None of the older generation who were born before the 1890s had more than 2-3 years of schooling if they had any at all. The next generation did better, though some did not go to school. It wasn’t until I got to the generation born in America after 1890 that I found consistency. Mandatory public education has to account for that. Still, there were very few who graduated from high school. Although my paternal grandparents never finished their schooling, they were firm believers in education. Four of their six children graduated high school and their daughter, Dorothy, was a college graduate. My dad was a terrible student. He repeated several grades. He made it through 9th grade, after which, they finally let him go. My mom’s parents divorced in 1949. My grandma raised her two children alone after that point. Grandma Shellabarger never finished school. A little matter of premarital pregnancy got in the way. But, she was determined that her children would do better even if they scraped to get by. When my mom was ready for high school, my grandma got her into Holy Names Catholic High School which was quite expensive. A scholarship for low income students and monthly payments made it possible. My mom told of how the principal didn’t have much faith in poor kids and thought worse of divorcees. In an office meeting before the school year started, my mom was informed that she had two strikes against her for being poor and having divorced parents. One more strike and she’d be gone (she wasn’t…though I believe she hassled the nuns enough to earn her third strike). 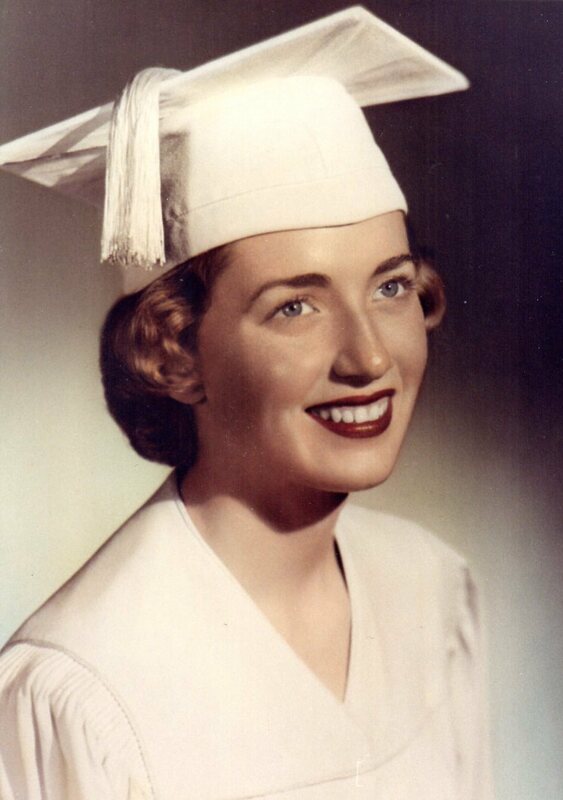 So, in 1955 when my mom donned her cap and gown and accepted her diploma during commencement, not only was she the first female in my pedigree chart to graduate, she was the first person period. That gave me cause to pause. That means that my siblings and I were the first generation where everyone graduated from high school. You really don’t appreciate mandatory education laws and the opportunities that it affords you and parents who value education until you realize how recent those gains have been made. As kids as we trudged to the bus stop with sleepy eyes and lunch boxes in hand we weren’t feeling all that grateful. Today I salute my Mom who may not know it but she is a pioneer in her family. She was the first ancestor in my tree to bring home a high school diploma.